Mr Darroch has been on the board of M&S for more than six years but is now understood to want to concentrate on his role at BSkyB. He will be replaced by another City heavyweight, Andy Halford, who is Vodafone’s chief financial officer. The Vodafone boss joins a collection of non-executive directors that includes Martha Lane Fox, the technology entrepreneur, Jan du Plessis, chairman of Rio Tinto, and Steven Holliday, chief executive of National Grid. 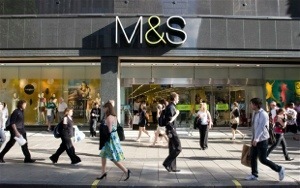 M&S said that Mr Holliday has agreed to serve for a further year as a director in order “to ensure continuity on the board” following the departure of Mr Darroch. He will step down in July 2014. This means that Mr Holliday will serve on the M&S board beyond nine years, which is against corporate governance best practice of three, three-year terms for independent non-executive directors. Mr Halford has been brought to M&S as the retailer ramps up its investment in mobile technology such as smartphone and tablet applications. The company will open a new warehouse for online orders in Castle Donington, Leicestershire, next year, while chief executive Marc Bolland is also overseeing the redevelopment of the M&S website. The chairman of M&S, Robert Swannell, said Mr Halford will bring “considerable experience working within a large international consumer business with important knowledge of the mobile landscape”. Mr Swannell said that Mr Darroch has made a “significant contribution” to M&S. He will stand down from the board in June.